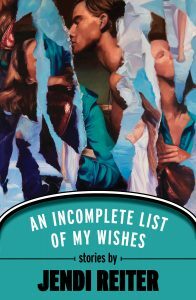 Jendi Reiter’s debut short story collection, An Incomplete List of My Wishes, is a model of tension. The push and pull of one’s own sexuality, family relationships or friends and enemies, but most poignantly the tension between what is said and not said. “Taking advantage of what she now knew to be her invisibility, her inconsequential being, Carla wove among the clusters of cocktail drinkers…” (88). The characters in each of Reiter’s stories are united in their own perceived inconsequence. It is the reader who draws the through-line, who sees the need or misunderstandings in each, who wants to yell, “you are not alone!” in the hopes it will make it all better. But it doesn’t. Reiter isn’t pulling any punches, the direct and uncompromising tone of the writing doesn’t allow any room to make it all better. You must see life as it is. “When your mother was dying, you’d hide at Mira’s house in the dark winter afternoons…” (122). “The day begins with a dead baby.” (68). Each story in this collection is its own entity, so much so that many have won prizes from journals like The Iowa Review, New Letters, Bayou Magazine and American Fiction. They span a wide range of perspectives and settings, everything from a reminiscing World War II solider in “Waiting for the Train to Fort Devens, June 17, 1943” to a grieving suburban business woman in “Taking Down the Pear Tree”. “Around the bit of mirror, the bit his body hadn’t made but was fast disappearing into his tissues, the white blood cells rushed in, clumping like snowflakes, turning to ice. Plates of ice like a white knight’s armor, floors and rooms of ice spreading a ballroom over black water…” (104). In some ways, this short story collection is the product of a wonderful mixing of novelist and poet. For each of Jendi Reiter’s stories, the tension is expertly built but never released. By exposing the fraught nature of different relationships, the reader must sit in their own discomfort, wondering about the things never said. 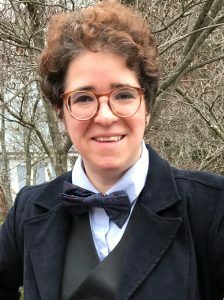 Meghan O’Neill is an avid reader and able mountain biker but has yet to successfully combine her passions (despite scraped knees and ripped pages). Meghan is currently pursuing a PhD in publishing. Her writing has appeared in Pif Magazine, The Pitkin Review and Pacific Rim Magazine.